What did you think of Understanding Probability ? Probability is the likelihood or chance of something happening. 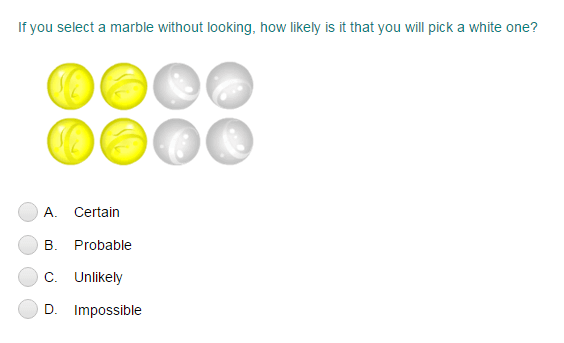 For example: Suppose we select a marble without looking. Let's find how likely it is that we will pick a red one. First count the total number of marbles. 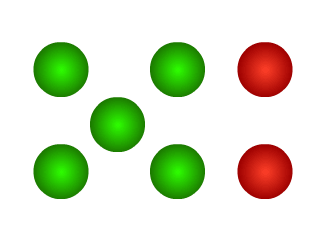 Out of 7 marbles, 5 are green and 2 are red. 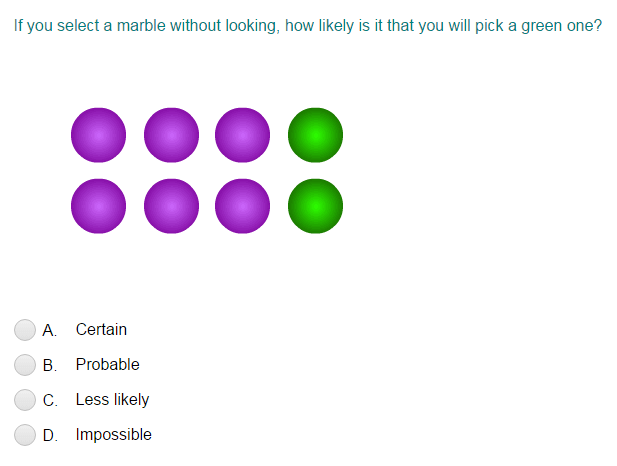 Since, there are more of green marbles than red marbles, so, it is less likely that you will pick a red marble.